The ocean in my hair, smudged ink on my hands, dark eye makeup, confrontational personality, a hidden connection to nature, fire, ice and water. Oh, I also write novels occasionally. It’s been close to forever, I think. 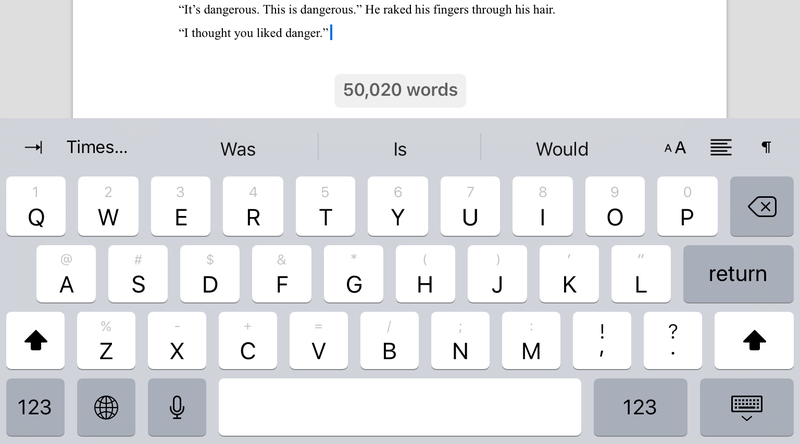 I’ve been quietly working on the second book of what I’m hoping will be a trilogy, and thought I’d share this wordcount milestone with you all. Anyways, how’s everyone doing? I’d love to hear what you’re currently working on— I might even drop by and check it out, if you like. After several days, I finally worked up the courage to write the ending for Eternal. I plan on doing some severe editing, so don’t be surprised if the handful of chapters I’ve uploaded disappear. Also, despite my hectic schedule, I signed up for camp NaNo this April, where I will hopefully write the second instalment at my first-ever attempt at a trilogy. Hey! I’ve had the online presence of a ghost lately, but y’know, life and all... well, I’m poking my head back in, checking out what’s going on, and I figured I’d talk about my absolutely favourite character trope. The “polite usually but turns into an unrelenting Deity of Sarcasm when insulted/threatened” characters are my absolute favourite, to both read and write. A close second is the “angry at literally everything but manages somehow to stifle most remarks” character. Love that sentence, it's so great. It sounds like something I'd say to be honest. Remember this? Well, I added a new chapter and fixed the disaster I was using as a cover. It’s not very often I get to celebrate views milestone, but I just happened to notice Our Dark Lies has surpassed the 4000 landmark, making it my most viewed novel. Which is astounding, because I never though I would get more than 4 views, let alone 4000.